This product is expected to ship on Wednesday, April 24 if you place your order within the next 7 hours and 3 minutes. 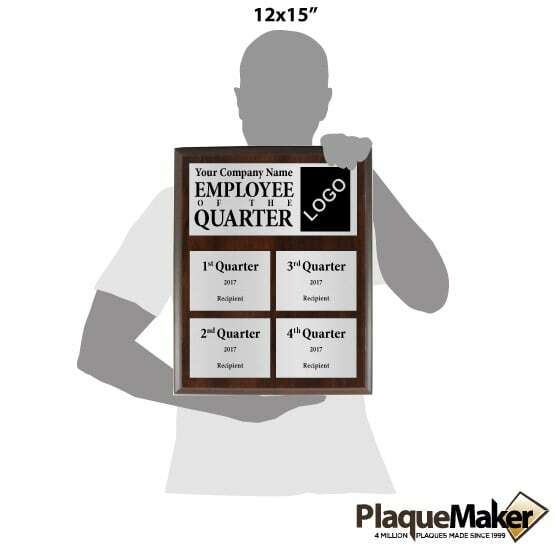 Celebrate your employees for the hard work they do and achievements conquered with these quarterly employee plaques. 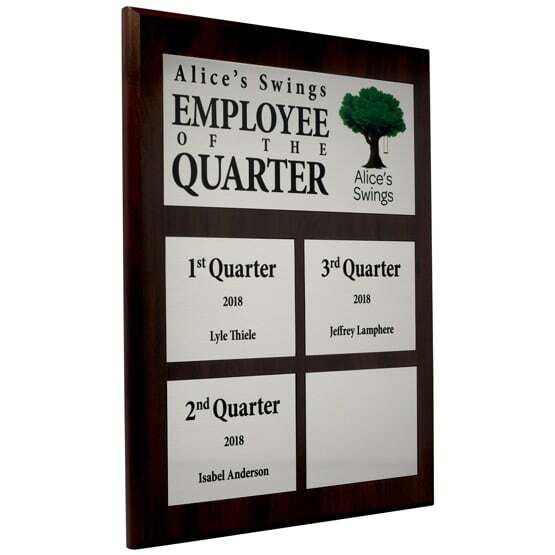 Each plaque is customizable with the company name, year, employee names, logo and quarter recognized. 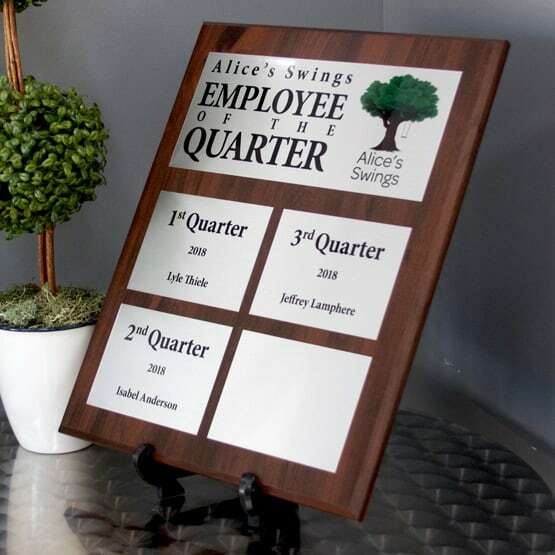 This employee plaque mounts to a board of your choice, so you can select a finish or color that matches your office decor.